to find peace, love and sensuousness for your lips. The result is first light, a lot of light. Comfort, a lot of comfort and finally a smile that makes anyone's heart skip a beat! 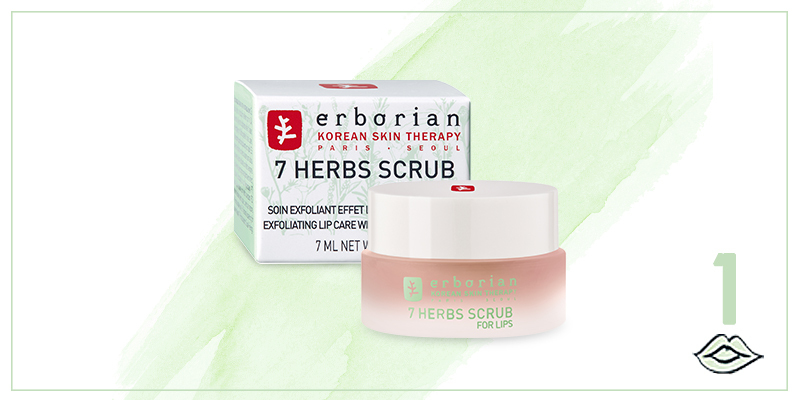 Erborian gives its secret 3-step lip ritual up for perfect lips. First, there is no soft skin without exfoliation. 7 Herbs Scrub for lips combines sugar crystals with the 7 herbs complex for cleansed, smoothed lips. The second step is bringing comfort to your lips. For this, nothing better than a "hug" in a mask! 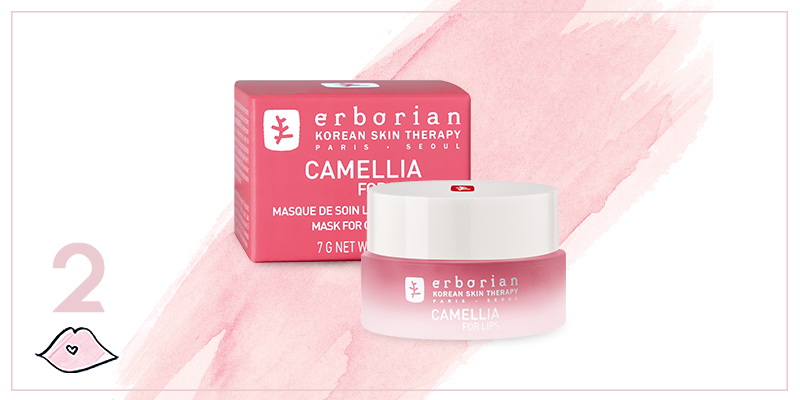 CAMELLIA FOR LIPS is like delicate lingerie for your lips. Enriched with protecting Camellia Oil known for its anti-oxidant properties and with softening adenosine, CAMELLIA FOR LIPS helps nourish and soften for the most glamorous pucker up effect. Ladies and gentleman, after exfoliating and nourishing, please welcome DOUDOUNE FOR LIPS! This balm achieves the incredible feat to be featherweight and a super shield all at the same time. 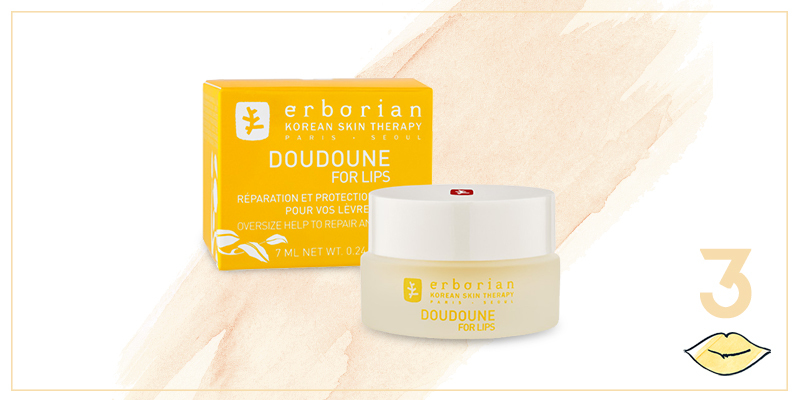 DOUDOUNE FOR LIPS melts on your lips to sooth even the most damaged, dry lips thanks to its rich formula. 3 new products and 2 new textures. and delves into colour for the first time. like a tie to match a suit, or a necklace to set off a dress. and completes your look to perfection.